Hello, I love reading this blog. I don't leave comments often, but I really liked this article and thought of something hearing people often do when I tell them I can lip read. They always seem to want me to demonstrate my ability to understand them by lip reading only. They will make the mistake of over enunciating just as you already mentioned in the article, but they will also stop voicing. So, they stand there moving their mouths in a very unnatural way with exaggerate movements, without actually using their voice, and then stop and wait for me to tell them what they said. Of course, I never can when they do this, so I am forced to admit that I didn't understand what they said, and then they give me strange looks. Possibly they think I simply lied to them when I told them I could lip read. 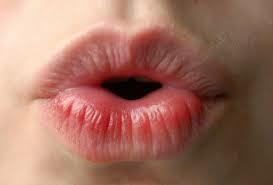 I always hated when people did this to me, so I learned to never tell hearing people that I can lip read. I had not thought about #3!!! Thank you for making me aware!! I wish you would make a video of this so I could use it with my General Ed. Teachers and post it on my Teacher Blog!!! Right now, most of my job is teaching the general ed. teacher with a D/HH student in his or her classroom how to use accommodations!!! And making sure that my kid's equipment is working correctly and that the general ed., teacher is USING the assistive technology correctly!!! Use CC?? with the video?? ?